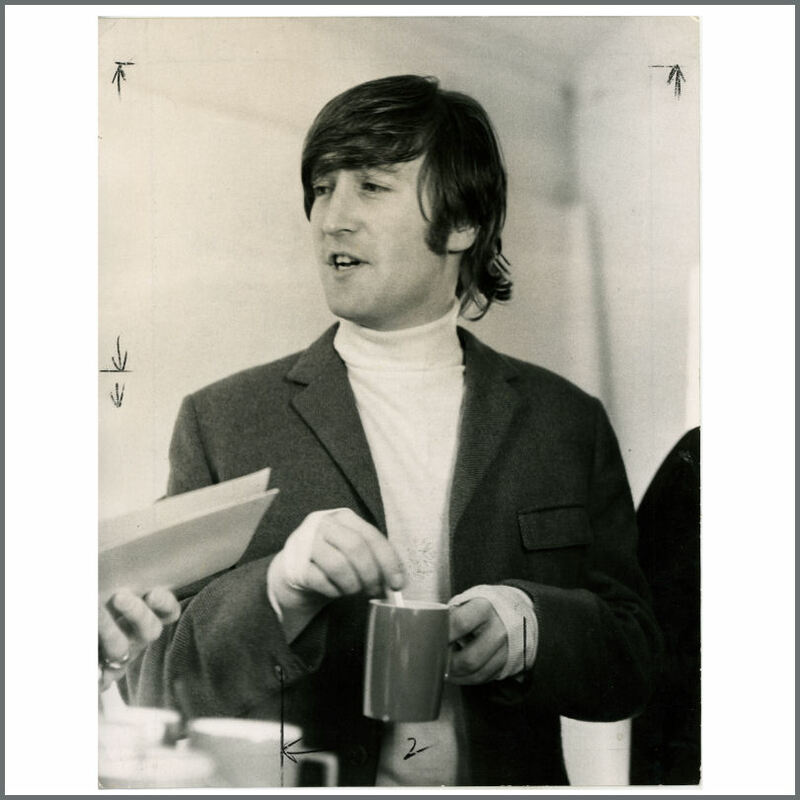 An original black and photograph of John Lennon which was taken by photographer Nigel Dickson on 25th March 1966. It was on this day that the photographs were taken of The Beatles for the Yesterday And Today (Butcher Cover) album. Before the Butcher session took place The Beatles posed for Dickson who was at the time working for The Beatles Book, this particular shot was used on page 9 of The Beatles Book, May 1966. There are ‘Nigel Dickson’ and ’16 Magazine’ stamps on the reverse. The photograph comes from the collection of 16 Magazine. It measures 25.5cm x 20.5cm (10 inches x 8.1 inches). The condition is very good.